Help Scooby and Shaggy on the haunted pirate ship. Solve all the mini puzzles to complete. Watch the scenes for valuable clues and collect inventory items to help Scooby and Shaggy in their quest, and of course keep your coolness until the end of the episode to uncover the mysteries of the ship. In this flash Scoobydoo game you must guide Shaggy and Scooby through the pirate ship while trying to figure out fun logic puzzles along the way, look for objects to help you complete the puzzles. Enjoy! If you want to play Scooby Doo - Episode 4 - Pirate Ship Of Fools games online you have come to the right place! 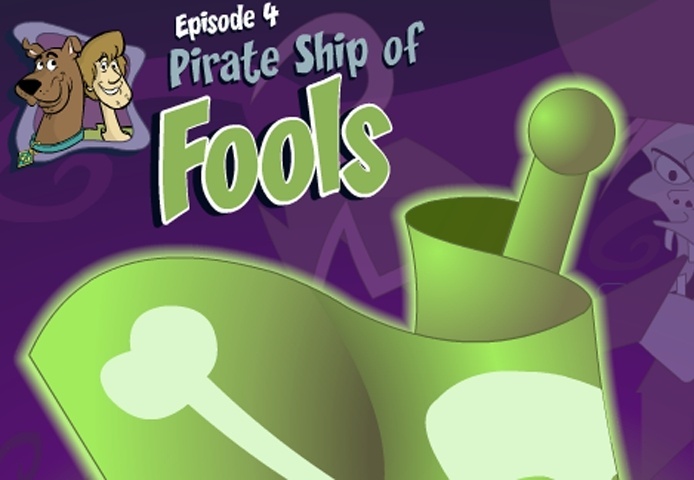 GamesLoon adds new Scooby Doo - Episode 4 - Pirate Ship Of Fools games every week. This is your game portal where you can find the biggest collection of free Scooby Doo - Episode 4 - Pirate Ship Of Fools games online. Do not forget to rate our Scooby Doo - Episode 4 - Pirate Ship Of Fools free online games while playing!